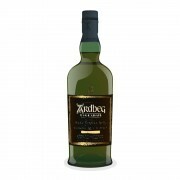 Ardbeg Uigeadail (pronounced ‘Oog-a-dal’) is actually the loch from which all the peat-laden Ardbeg waters flow. 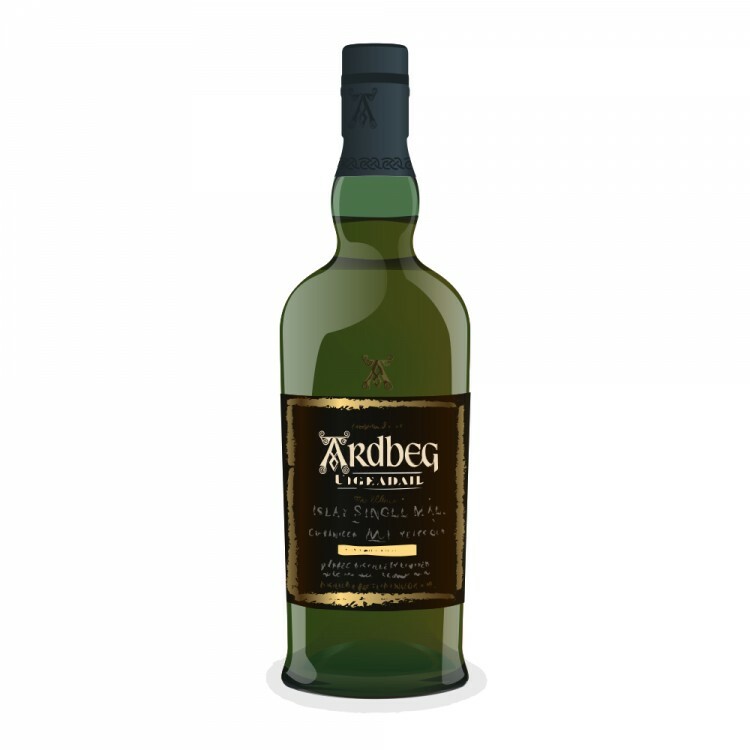 For this expression though, it is a union of the classic smoky Ardbeg characteristics and ex-Sherry casks. There is an amber and gold hue...definitely darker than the 10 Year, but still a bit pale for how deep this one goes. All of the flavors are harnessed as this one is bottled at or near cask strength, and non chill-filtered…54.20% ABV. Nose: The pungent peat smoke sets the stage, but once it passes you by, there are layers. There are raisins, and an almost meaty scent, like cleaning a grill. Some water opens it up a bit (due to the high ABV) and it kind of smells like banana bread. Palate: Rich, and full bodied on the tongue. Complex…there is a lot going on here. It is sweet and spicy and hounded by a changing smoke, like charcoal now. More sweet fruits and cocoa on the way down, like chocolate covered raisins. Finish: Long, it takes minutes for the ashy smoke to fade. A bit of oak and sweet fruit (raisins) on the exhale.